Well, given the name of the site I had to do this one sooner rather than later! Some of you may remember the peril sensitive sunglasses worn by Zaphod Beeblebrox in the Hitchhiker’s guide to the galaxy. 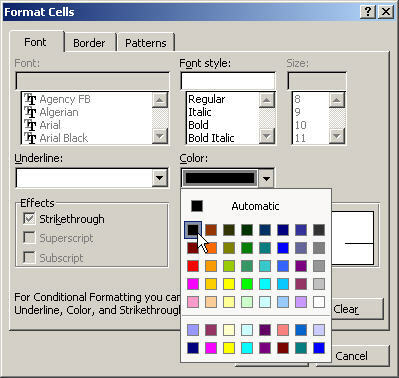 Excel has its own version of this useful accessory which it refers to, rather strangely, as ‘Conditional formatting’. You can set up to three different formats on a cell or range of cells (press the ‘add’ button on the conditional formatting screen to add a second or third format). 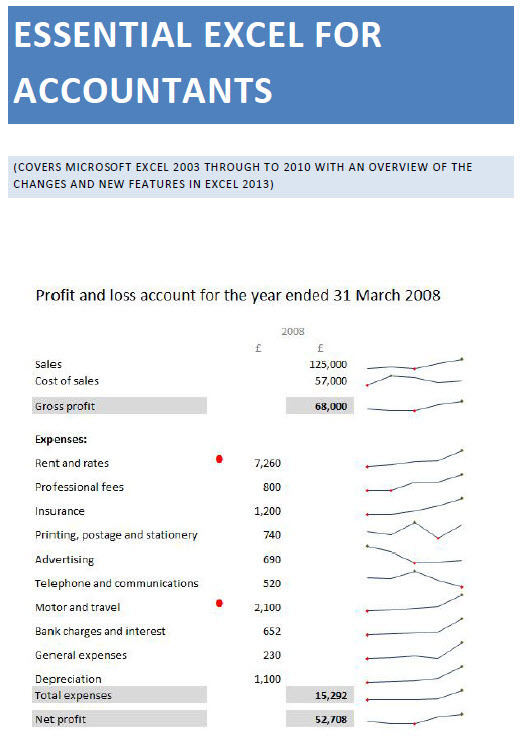 So you could, for example, use a ‘traffic lights’ system to set the background colour of all cells with values below a ‘minimum’ level to red, those with values above a ‘maximum’ value to green and the ones in between to amber. 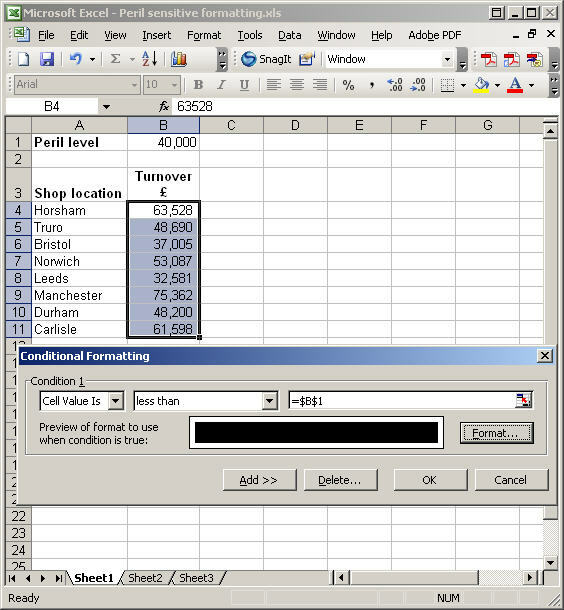 In Excel 2007 conditional formatting has been greatly enhanced to enable the use of a much wider range of formats and icons to highlight certain values.